Salta boasts a vibrant social life and array of informative museums appealing to visitors looking for a memorable cultural experience. You'll explore the less-touristy side of things at Iglesia Nuestra Senora de La Candelaria de La Vina and San Bernardo Convent. There's lots more to do: take your sightseeing to a higher altitude at Cerro San Bernardo, explore the striking landscape at Anfiteatro Natural, make a trip to Plaza 9 de Julio, and appreciate the history behind Monumento General Martín Miguel de Güemes. To see other places to visit, ratings, reviews, and tourist information, use the Salta tour planner. Newark, USA to Salta is an approximately 20.5-hour flight. The time zone difference moving from Eastern Standard Time (EST) to Argentine Time (ART) is 2 hours. Traveling from Newark in August, you will find days in Salta are slightly colder (73°F), and nights are much colder (41°F). Finish your sightseeing early on the 11th (Fri) to allow enough time to take a bus to Province of Jujuy. San Salvador de Jujuy, commonly known as Jujuy and locally often referred to as San Salvador, is the capital city of Jujuy Province in northwest Argentina. Explore hidden gems such as Cerro Morado and Iglesia de Santa Rosa de Lima. Venture out of the city with trips to Sendero La Herradura (in Calilegua) and Purmamarca (Plaza 9 de Julio, The Hill of Seven Colors, & more). 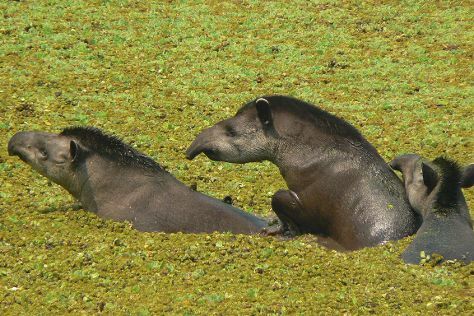 To see where to stay, other places to visit, photos, and tourist information, refer to the Province of Jujuy itinerary planner. Getting from Salta to Province of Jujuy by bus takes about 1.5 hours. Other options: drive. Plan for a bit warmer nights when traveling from Salta in August since evenings lows in Province of Jujuy dip to 47°F. 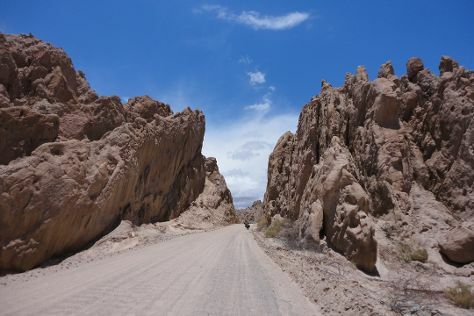 Wrap up your sightseeing by early afternoon on the 16th (Wed) to allow enough time to drive to Cafayate. Nestled in one of the country's major wine regions, Cafayate and the surrounding area remain a top vacation destination throughout the year. You'll explore the less-touristy side of things at Quebrada de Las Flechas - Angastaco and El Anfiteatro. There's still lots to do: admire the sheer force of Cascadas del rio colorado, don't miss a visit to Quebrada del Rio de las Conchas, explore the striking landscape at La Garganta del Diablo, and play a few rounds at La Estancia De Cafayate - Wine and Golf. To find photos, traveler tips, more things to do, and tourist information, read our Cafayate vacation planner. You can drive from Province of Jujuy to Cafayate in 4 hours. 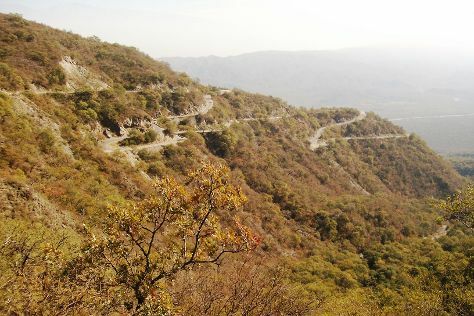 Wrap up your sightseeing by early afternoon on the 20th (Sun) to allow enough time to drive to San Miguel de Tucuman. The commercial hub of an area known for its high production of sugarcane, tobacco, and rice, San Miguel de Tucuman also has a historical claim to fame, having hosted the national congress that declared independence from Spain in 1816. Kids will appreciate attractions like Museo Miguel Lillo De Ciencias Naturales and Reserva Experimental Horco Molle. Explore hidden gems such as Loma Bola Vuelo y Aventura - Parapente and Basilica de Nuestra Senora de la Merced. There's still lots to do: pause for some serene contemplation at Catedral de San Miguel de Tucuman, explore the activities along El Mollar, get engrossed in the history at Casa Belgraniana Solar Historico, and stroll through Parque Sierra de San Javier. 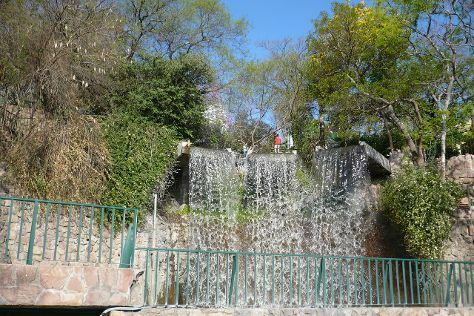 To find traveler tips, ratings, more things to do, and tourist information, use the San Miguel de Tucuman trip itinerary planner. You can drive from Cafayate to San Miguel de Tucuman in 3.5 hours. In August in San Miguel de Tucuman, expect temperatures between 74°F during the day and 48°F at night. 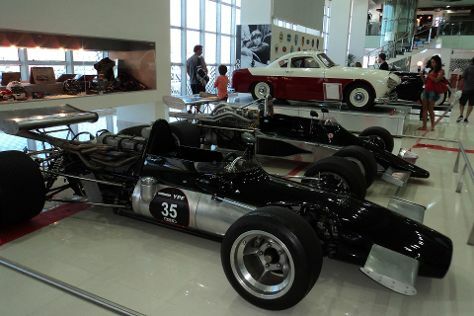 Cap off your sightseeing on the 24th (Thu) early enough to travel to Termas de Rio Hondo. Proximity to natural hot springs ensure that Termas de Rio Hondo's tourism sector continues to prosper, providing employment for many residents and bringing in a considerable income for the entire area. Kick off your visit on the 24th (Thu): make a trip to Represa Rio Hondo and then head outdoors with Circuito Termas de Rio Hondo. To see maps, more things to do, other places to visit, and more tourist information, refer to the Termas de Rio Hondo itinerary planner. Traveling by car from San Miguel de Tucuman to Termas de Rio Hondo takes 1.5 hours. Expect a daytime high around 77°F in August, and nighttime lows around 46°F. Wrap up your sightseeing by early afternoon on the 25th (Fri) to allow enough time to travel to San Fernando del Valle de Catamarca. Surrounded by impressive mountains, San Fernando del Valle de Catamarca sits in a scenic valley, on the banks of the Del Valle river. Kick off your visit on the 26th (Sat): explore the ancient world of Ruinas de El Shincal, take some stellar pictures from Oasi di Antofalla, then examine the collection at Museo Arqueologico Adan Quiroga, then don't miss a visit to Plaza 25 de Mayo, and finally take in the architecture and atmosphere at Catedral Basilica de Nuestra Senora del Valle. On the 27th (Sun), you'll have a packed day of sightseeing: pause for some serene contemplation at Iglesia y Convento de San Francisco, head outdoors with Cuesta Del Portezuelo, and then take some stellar pictures from El Rodeo. For traveler tips, more things to do, and more tourist information, read San Fernando del Valle de Catamarca itinerary planner. Traveling by car from Termas de Rio Hondo to San Fernando del Valle de Catamarca takes 3 hours. In August in San Fernando del Valle de Catamarca, expect temperatures between 77°F during the day and 47°F at night. Cap off your sightseeing on the 28th (Mon) early enough to travel to Cachi. Though it's the biggest settlement for miles and locals call it a city, Cachi is really more of a village with a population of just over 2,000. Get ready for a full day of sightseeing on the 29th (Tue): make a trip to Cachi, examine the collection at Museo Arqueologico Pio Pablo Diaz, and then take in the dramatic natural features at Cuevas de Acsibi. To find maps, ratings, and other tourist information, read Cachi sightseeing planner. Getting from San Fernando del Valle de Catamarca to Cachi by car takes about 9 hours. Other options: fly. Traveling from San Fernando del Valle de Catamarca in August, expect slightly colder with lows of 41°F in Cachi. Finish up your sightseeing early on the 30th (Wed) so you can travel back home.